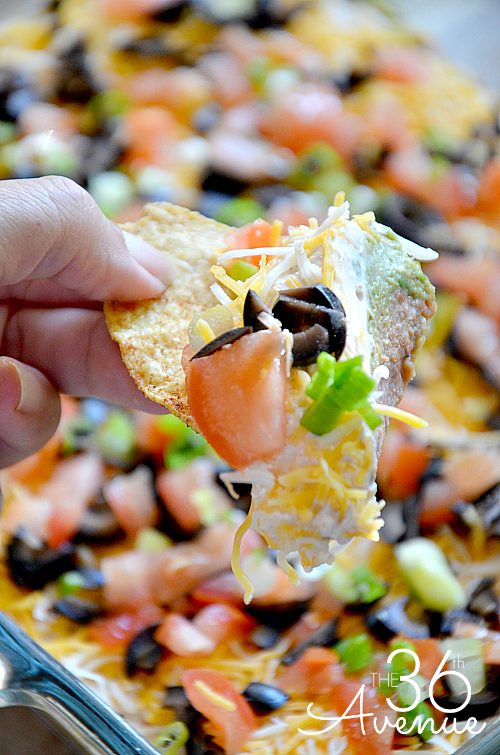 One of our favorite appetizers are without a doubt Seven Layer Bean Dip. Even though this is a pretty well known appetizer, when people eat it at our home quite often they ask me how we make ours. So today I am going to share a few little secrets that will take your ordinary 7 Layer Bean Dip Recipe to the next level. This is so darn good! Mix the beans and ketchup and put aside. In a bowl mix the sour cream with one package of Taco Seasoning and put aside. On a large plate smash the avocados and add the garlic powder, chili powder and the juice of the fresh lemon. You can even add a little salt to taste. Put aside. Right on top spread the avocado mixture. To make the third layer spread the sour cream mixture on top of the avocado. Top these layers with the shredded cheese. Finish with a layer of tomatoes, olives, and green onions. I like to put my refried bean can in the fridge to make them cold for the dip. You can use a 11x7, 13x9 or 9x9 dish. The thickness of the layers will change depending on the size of each container. Add as much tomatoes, green anions, olives and cheese as you like. If you prefer you can use Fat Free Sour Cream. 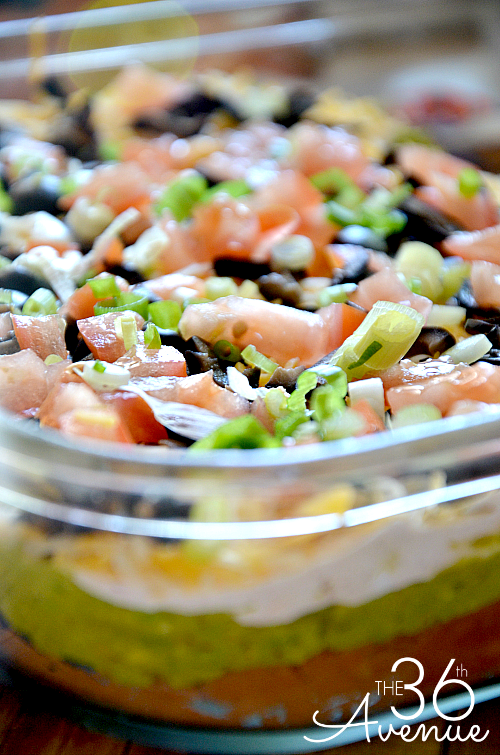 I love to serve our 7 Layer Bean Dip during parties and get togethers. A great way to serve them is in individual cups. Here is a picture of our appetizer table for out New Year’s Eve Celebration last year. Isn’t this post making you hungry? We are now in full Football Season, this is a perfect recipe for a game night with family and friends! 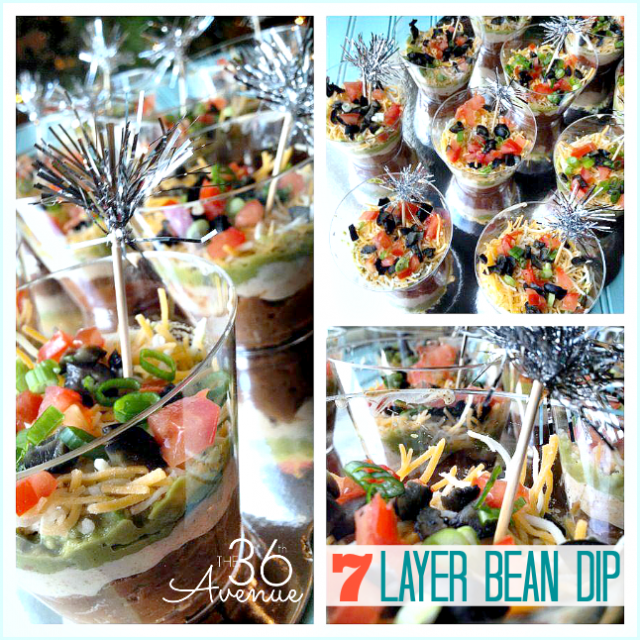 Seven Layer Bean Dip a try! 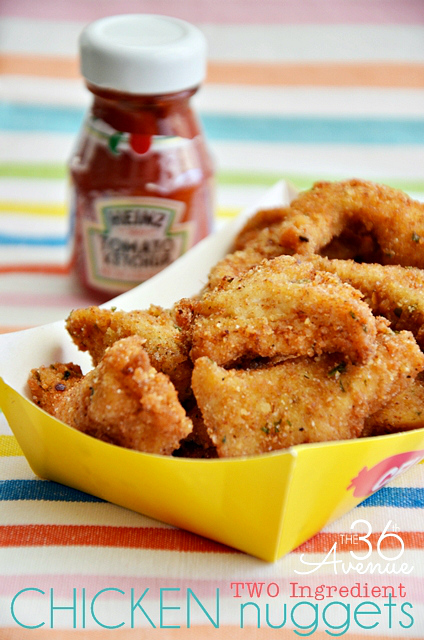 For more quick and delicious appetizer recipes try these yummy Two Ingredient Chicken Nuggets. This is my kids favorite and a great alternative to fast food. 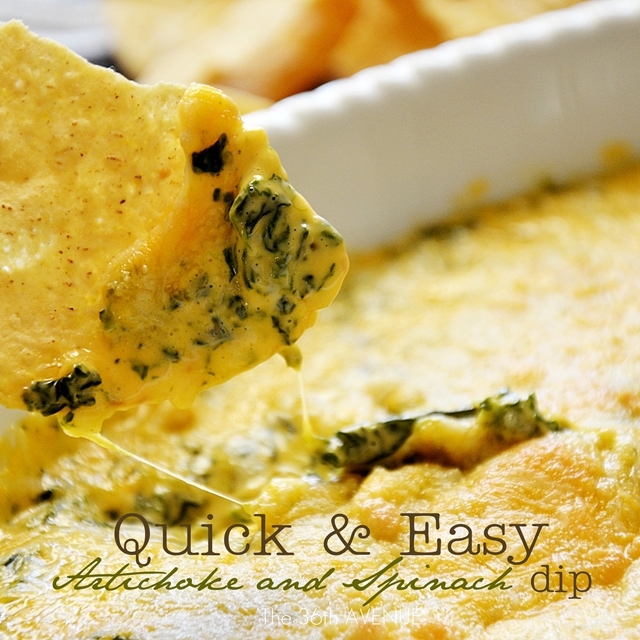 Perfect for a busy day when you need a quick dinner idea! Wishing you all my friends a yummy day! Oh my, please disregard my previous email question. Did not see the directions initially. Made this for dinner tonight (with tortillas to wrap up in a burrito!) YUM! The only 7 layer dip I’ve tried that actually turned out and tasted good! Yay! Thank you for letting me know… So happy you liked it 🙂 You made my day! I am creating the bean dip for tonight, with the chicken nuggets! And, I am using the artichoke and spinach recipe for Friday, with a light fish dish. Thank you!!!!!!!!!!! 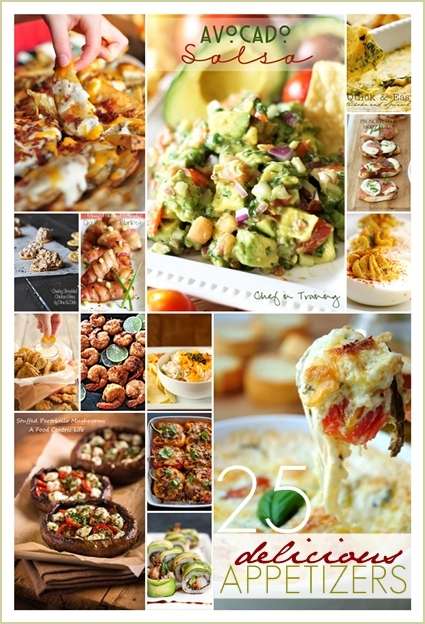 I love party food – this is definitely making me hungry this morning.